Trying to relax? VR apps can help. There are so many excellent VR apps for iOS and Android. And they can seriously help to stop stress and to improve your sleep. When you’re looking for that meditative chill, Virtual Reality apps are a good option. These VR apps are about sheer relaxation for when you’re stressed or cant sleep and you just want to unwind. Read my guide to the best meditation apps. Pro tip: You don’t need an expensive VR viewer either. For $15, grab Google Cardboard. 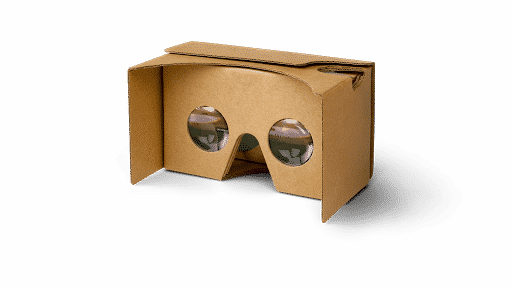 Google Cardboard works by placing your phone at a slight distance away from the lenses. You then place your eyes up to the viewer to see a 3D effect. Easy. Once you’re experiencing the 3D view you can move your head around to see different angles of the images. It’s a simple, 3D virtual reality experience. Here are my favorite relaxing VR apps. Want to chill? 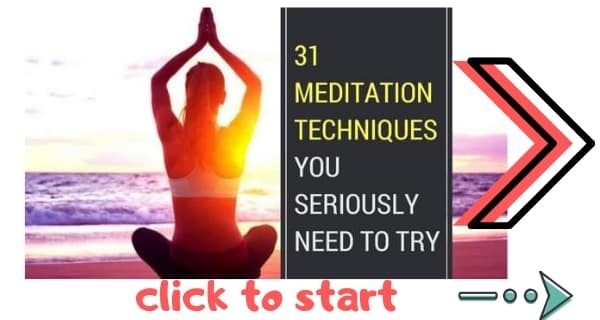 While you read this, listen to relaxing meditation music. Relax VR is an Australian start-up group who use virtual reality to relieve stress. Smart idea given that 40% of employees state that they find their job stressful, and stress is a leading cause of mental health problems. 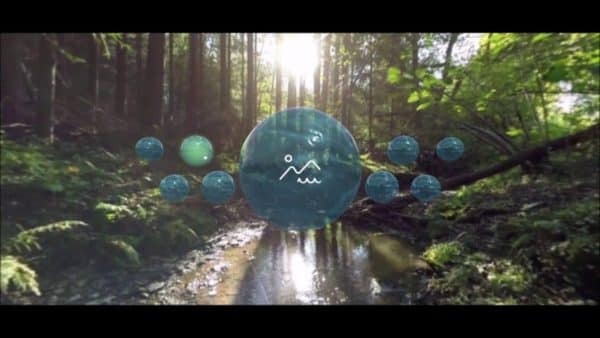 Relax VR’s application (on iOS and Android) recreates beautiful landscapes in relaxing VR scenes. The locations include Great Ocean Road in Australia, and beaches in Portugal. And the scenes are viewable in 360 degree. The music is truly chilled out and the voice over is calm and serene. Definitely helpful when you want to unwind for the day. What I love about Relax VR is that the company has actually backed it up with science. Clinical psychologist Ivan Alsina Jurnet was responsible for making sure that this app is genuinely relaxing. And one of the company’s founders, Sourabh Jain, is a yoga and meditation teacher. Basically, this app is legit. Cool side-note: Relax VR is attempting to get into the hospital space. 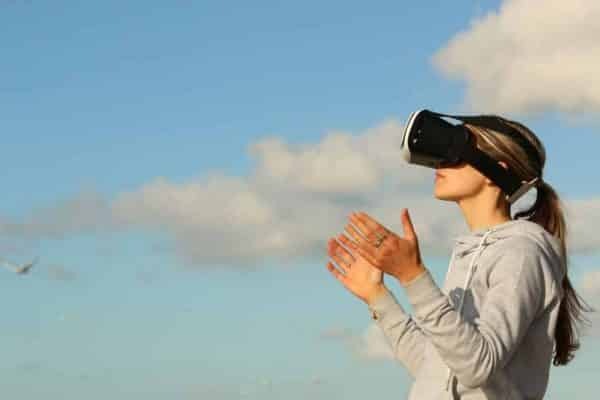 You may not be aware, but there are many medical apps used in hospitals and Relax VR could soon be used to help hospital patients to relax. 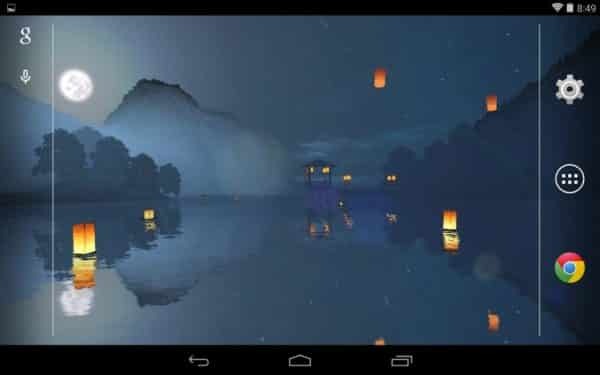 Lanterns is a calming app on Cardboad and will help you to unwind. Lanterns is a calming app on Cardboad that I love for its chilled-out style. In Lanterns, you are chilling out sitting by the water and listening to the slosh of the waves while a bunch of lanterns float around you. It’s a stylish and serene experience that is definitely one of the most relaxing apps out. I love the music too. 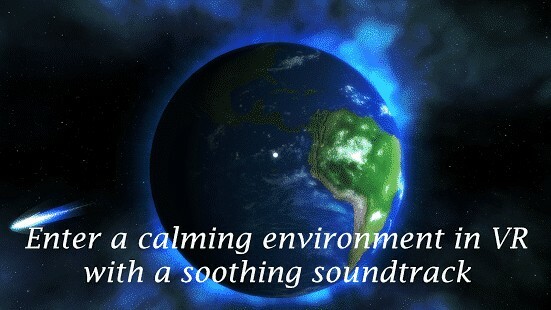 The ambient sounds truly bring out your inner Zen. Plus, the graphics are stunning. Some people have commented that this app even helps to cure insomnia. Get it on the Google Play Store. 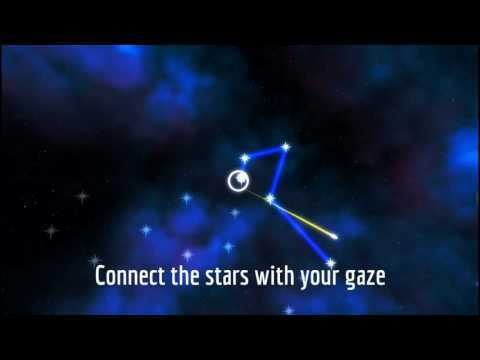 Guiding Star VR is a space VR application that is good for unwinding, calming and relaxation. In Guiding Star you are looking at space and at the stars. The idea is to connect the stars by using your gaze. This one calls itself a meditation app. That’s not really true, however, as there is next to nothing meditative about this app. It is, however, very relaxing. The music is calm with an ethereal feel (reminds me of Final Fantasy) and the visuals are relaxing. Lumen is a serene application for VR devices that helps with sleep and insomnia. It begins with a breathing exercise. 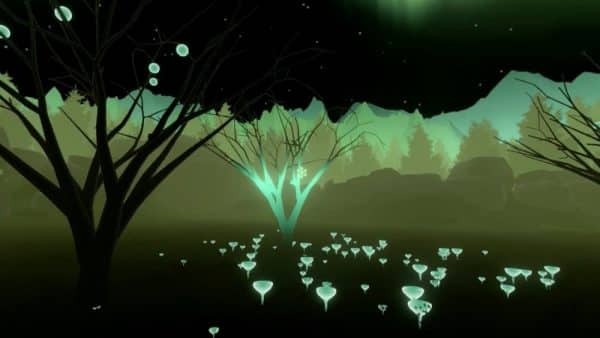 After the exercise you’re taken to an interactive luminous forest. There, you can help the trees grow in a beautiful landscape scene. The team behind the app say it will help you to get to sleep if you have insomnia. It’s backed by science, too. VR Tropical Meditation 3D is a calming app that makes you feel relaxed and happy. 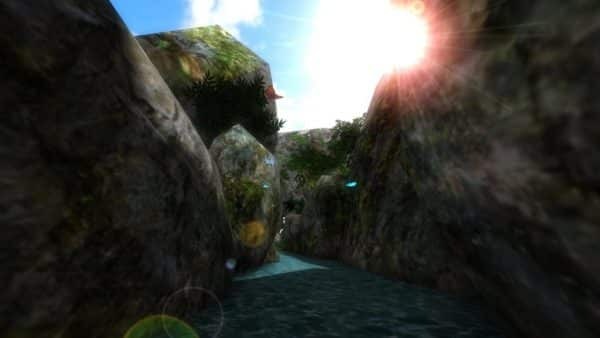 VR Tropical Meditation takes you away on a free vacation to the tropics. Move your head and you will walk in the direction you’re looking. As you look around the scenes you’ll experience the beautiful sun and blue sea, and the sounds of the island. The one minor hiccough with this app is that there should is no way to stop walking so you can’t just stop and chill. Nevertheless, it’s a truly enjoyable experience. You know what it feels like when you lucid dream? WITHIN creates a similar experience. At the beginning of the app you are standing beside a lake as the sun rises. Around you are dragonflies, moving clouds, a snow-capped mountain… nature… Nature everywhere. 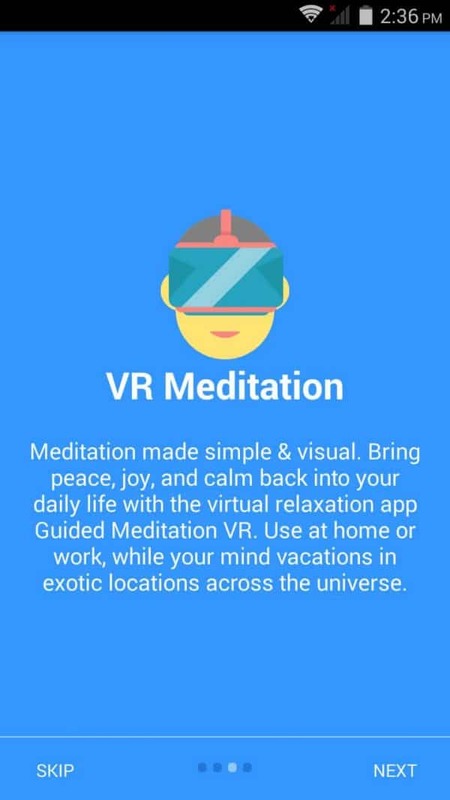 VR Guided Meditation is a VR meditation app that helps with mindfulness. VR Guided Meditation is a VR app that helps with mindfulness. VR Guided Meditation App offers free guided meditations in a VR experience. The app teaches meditation lessons with easy-to-follow instructions designed to help you let go and relax. There are lots of different locations to choose from in this app, including a beach, office, snowy landscapes, and mountains. 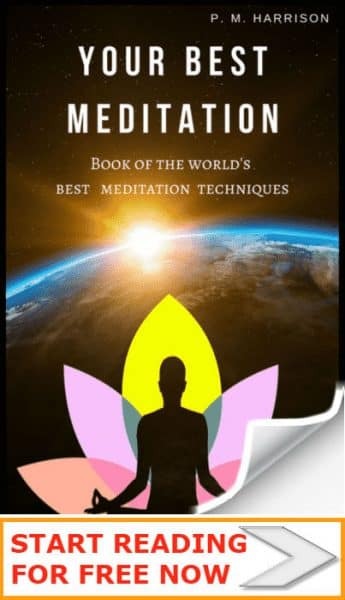 When you download this free meditation app you get a lot of different options to enjoy once you put on your Google Cardboard viewer! The developers state (very optimistically) that this app will help with sleep, stress, and other problems… Eh, not so much. It is good fun though. But always bear in mind there are big problems with guided meditations. This app helps you to rest and relax and is full of good graphics and nature scenes. Relax VR is a truly beautiful meditation app full of gorgeous visuals. The production values are some of the best. Period. The way the beautiful scenes come to life before your eyes is truly magical. It has more than 100,000 downloads already. And it’s easy to see why. Caribbean VR Google Cardboard (full title) lets you take a free vacation to the beautiful Caribbean (minus the pina-coladas—sigh). This is another app with delightful visuals and staggering production values. As you visit Pinel Island, Mt Maarten, St Barts and Sandy Island you will feel like you’re really there (eh… not really… but it is very relaxing nonetheless). This VR app is available for Homido, Zeiss VR One and GearVR, Color Cross and View Master 3D. Monarh3D is a butterfly app with beautiful graphics that helps with rest and relaxation. 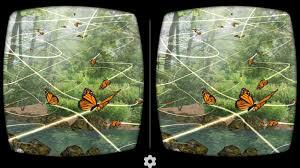 MonarchVR: Meditate in VR is set in a stunning 3D butterfly sanctuary (I mean, who doesn’t love butterflies)? While you watch those butterflies fluttering around you, you can’t help but relax and feel the stress melting away. As a neat little bonus, the proceeds from this app go to a non-profit that helps protect bees and butterflies! Monarch3D works on Google Cardboard, Freefly VR, Homido, Merge, Pasonomi, IncrediSonic Vue, View-master, Lakento, Tepoinn, Archos, Durovis Dive 5 (so basically, a lot). Eden River is a good app when you want to relax and go to sleep. It is a good app for meditation too. Eden River is a good app when you want to relax and get to sleep. Weirdly enough Eden River is made by Unello, a developer that usually makes massively violent video games. But they seem to be pretty darned good at making peaceful VR apps too. In Eden River you cruise down a river meeting various forest wildlife. It’s a simple, chilled-out, Zen experience that is truly relaxing. Definitely a healthy alternative to this developers usual horror. This one works on Google Cardboard, Durovis Dive, -ImmersiON-VRelia GO, and most other smartphone VR viewers. Maybe you’d prefer a Meditation Video Game? As well as these VR apps there are lots of great meditation games too. There are games for Android, iOS, PS4, XBox One and PC / Mac. Take a look at the link above for my favorite meditation games. Alaska. A truly beautiful place. 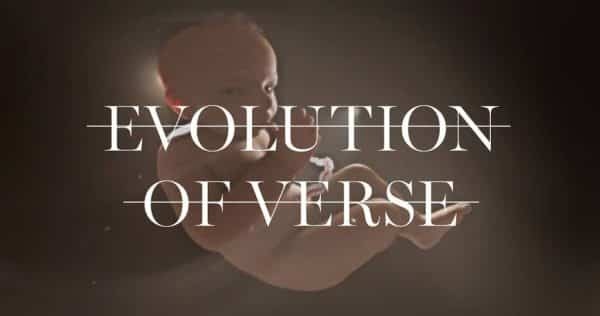 And it has been timelessly recreated through the videography of William Briscoe. Briscoe show a time-lapse of a sunset aurora at Hatcher’s Pass, a mountain pass through the southwest part of the Talkeetna Mountain. 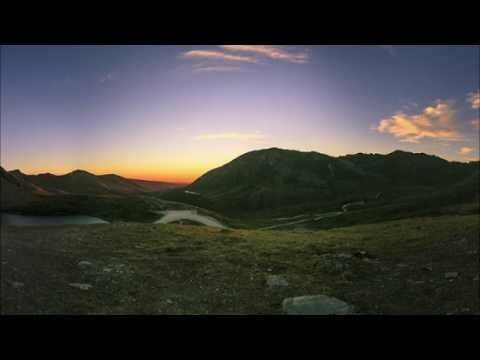 In this 360 video you get to see the perfect sunset leading to the dark night and the magical green aurora across the sky. Breathtaking. I always say that one of the best type of meditation is just to enjoy nature. This is that type of meditation. It is a stunning recreation of nature’s divine beauty.